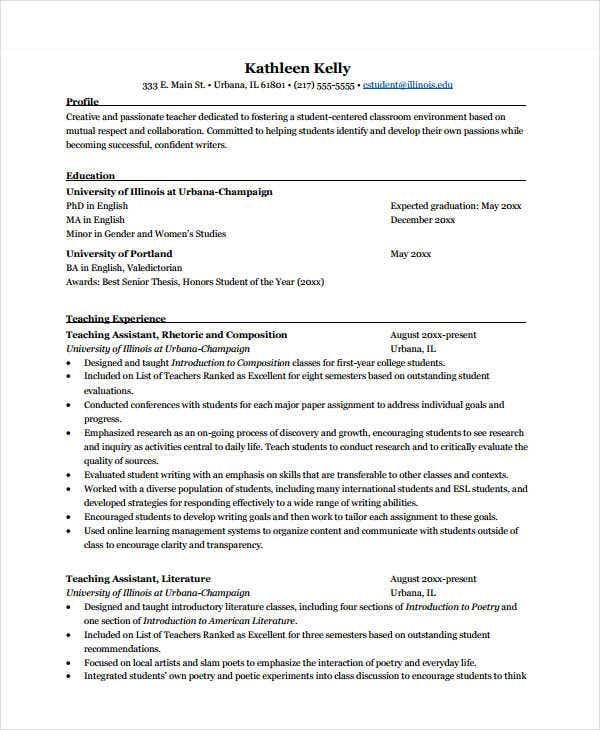 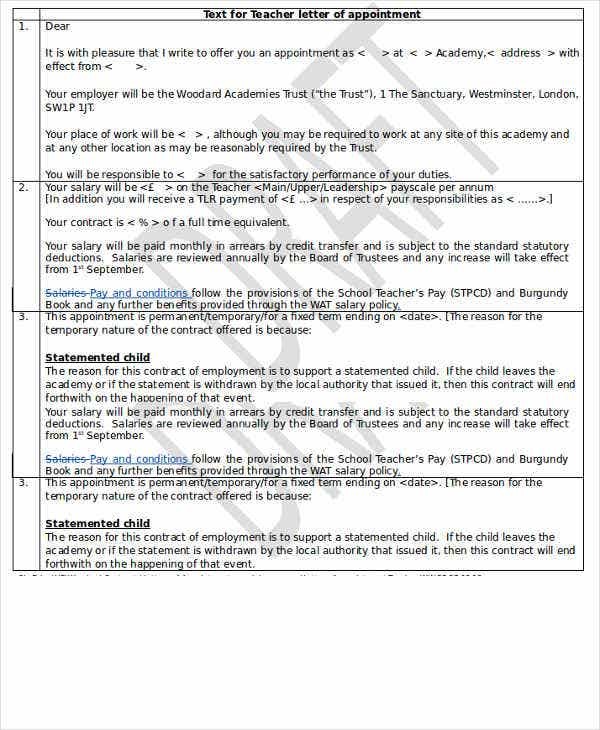 A teacher appointment letter is a document that states all the information regarding the employment offer for an applicant seeking for a teaching post. 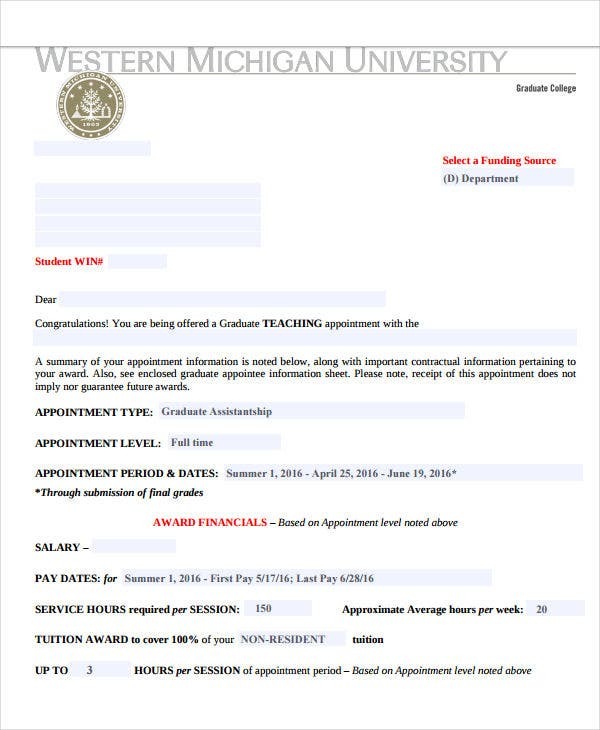 It includes the items that the applicant should be knowledgeable about should he or she decide to accept the offer given to him or her by an academic institution. 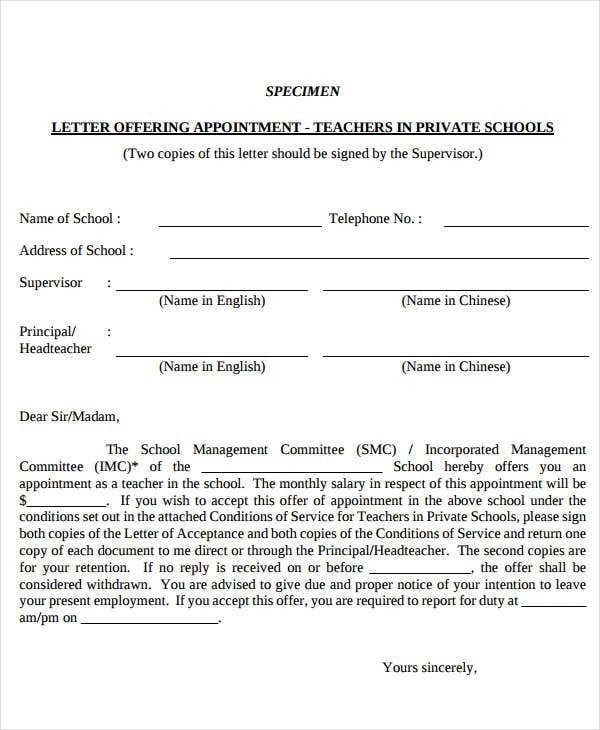 If you want to know the items that are included in a teacher appointment letter, you may browse through this article and download the teacher appointment letter templates available. 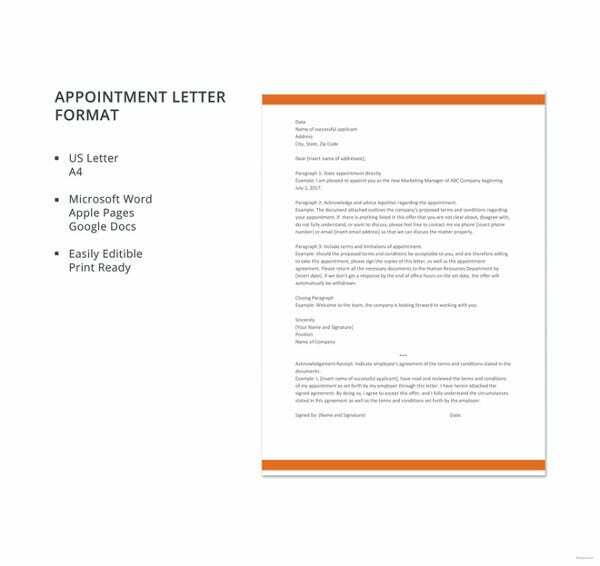 Moreover, we can also provide you with other downloadable Letter Template samples, which you may use as references in creating different kids of letters for various transactions and processes. 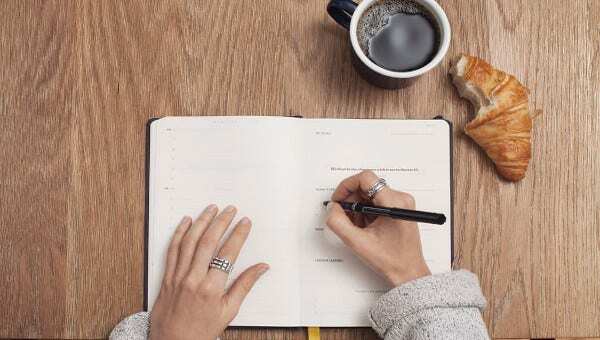 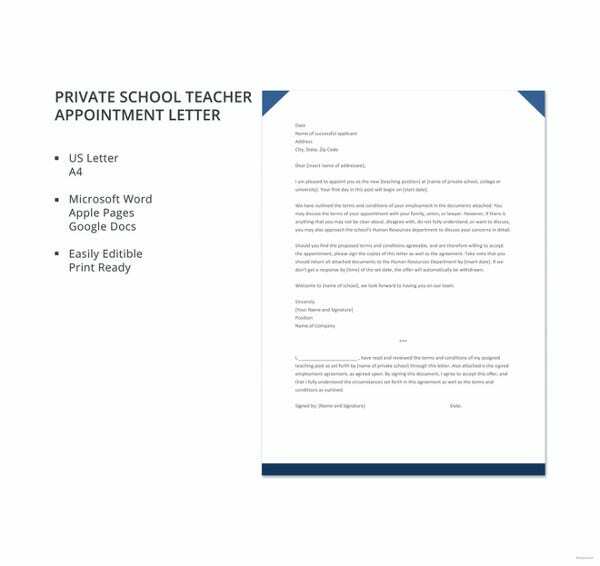 Other than our teacher appointment letter templates, we can also provide you with different kinds of Appointment Letter Template samples, which you may download and use as references in creating an appointment letter that will be appropriate for your transaction needs. 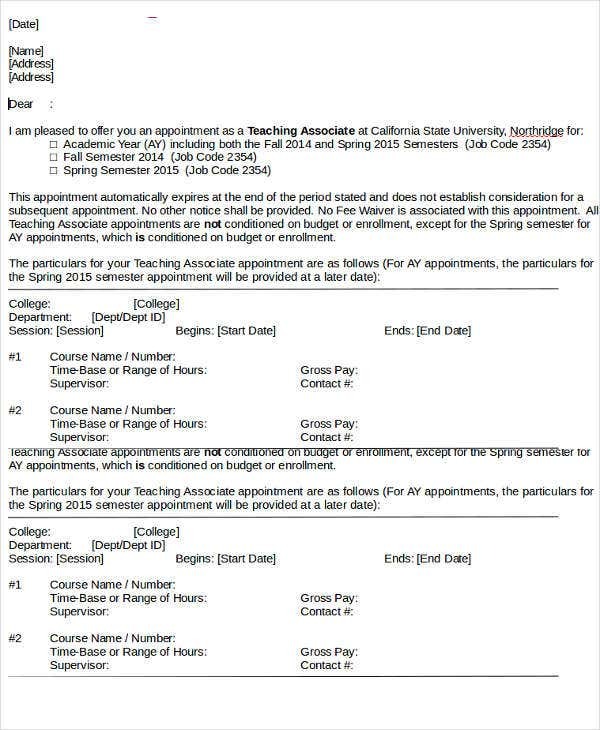 It enlists all the items that are needed to be known by the teacher applicant. 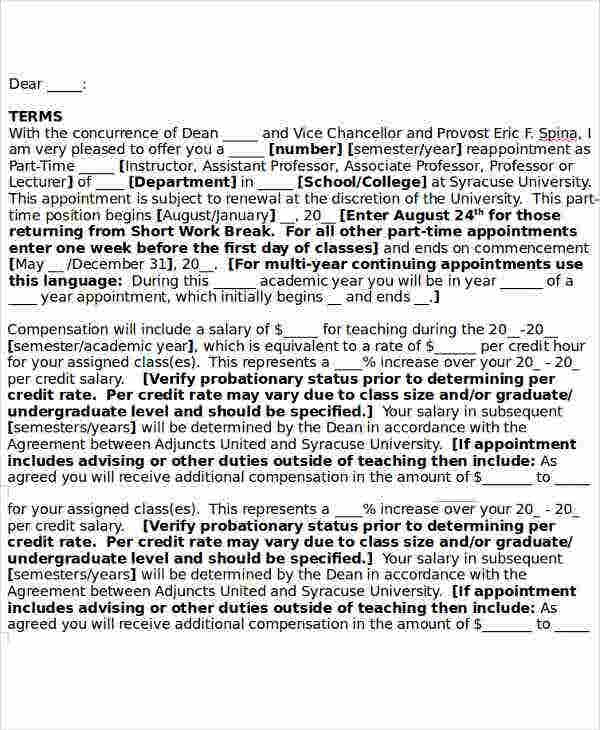 It helps the applicant to know the benefits and down sides of accepting the job so that he or she can decide more on whether to accept it or not. 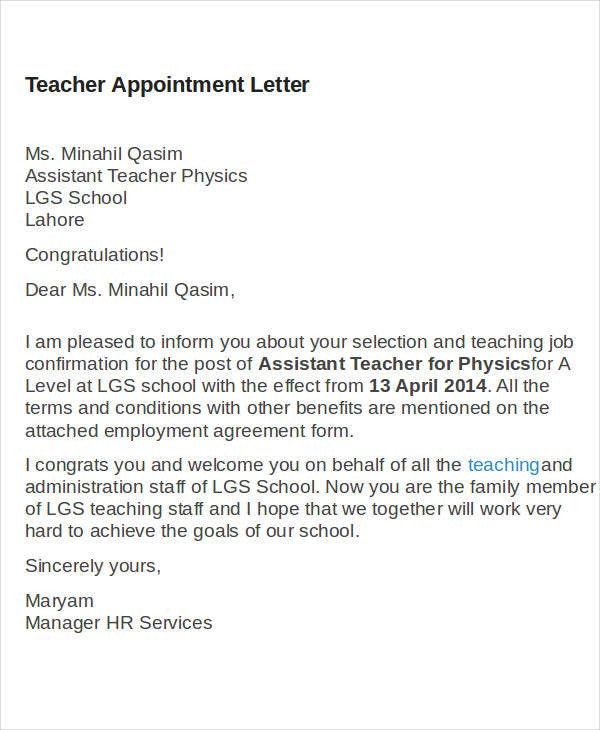 It serves as a formal notification that the applicant is requested to be a part of the academic institution as a teacher. 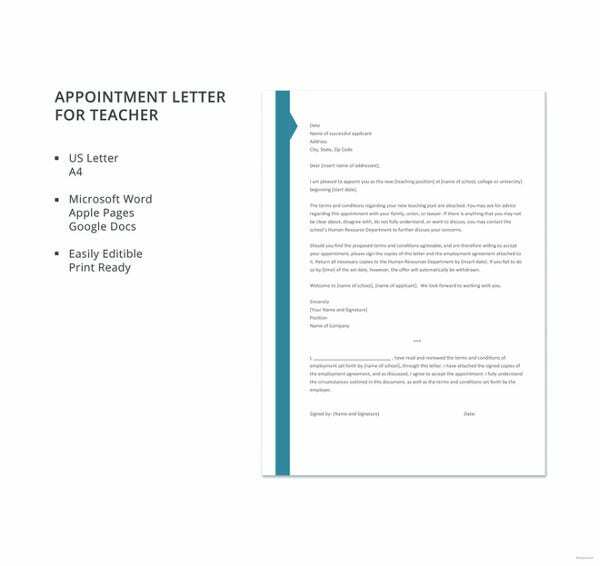 Aside from our teacher appointment letter, you may also be interested to browse through our downloadable Offer Letter Template samples.